Communication is constantly evolving. Innovative ideas and new products have made the way we convey ideas to each other faster, more convenient, and more practical. While some cultures in the world are still able to communicate distances of five kilometers or more by whistling, the majority of humans rely on technology to keep in touch with anyone out of earshot. We know that the landline is dead, and that dial up internet was long ago replaced by broadband connectione. But what’s in store for the future? What next generation technology will take communication to the next level? And what’s already out there that we could be utilizing? It’s been a nearly two decades since mobile phones replaced the landline, and smartphones are clearly the new standard for communication in the world. Currently, 77 percent of the US population owns a smartphone. By 2020, it’s expected that 6.1 billion people around the world will have this foundational communication tech in the palms of their hands. Smartphone have completely evolved since the Internet of Things has truly taken off. The world is always connected to every extent of the word, even when we don’t have cell phone reception. As WiFi calling has become increasingly popular, calling and texting can be done virtually anywhere. Imagine if cell phone towers went extinct and instead we relied on a fine tuned net of WiFi or perhaps something even quicker version of WiFi? We are all reaping the benefits of modern day internet connection speeds. It makes streaming our favorite shows and movies in 4k not just a possibility, but a likelihood. It lets us video chat with our friends or relatives on the other side of the world, with little to no latency. However, the definition of what’s considered to be a fast internet connection is on the cusp of a huge change. In case you haven’t heard, the next big thing in wireless internet connections will actually utilize something we all already use, every single day. Introducing, LiFi: the next thing in wireless broadband internet! Most people are already gravitating towards LED lighting due to the energy savings and more appealing qualities. LED lights can even keep hotel and hospital rooms cleaner and safer because certain types of LED lighting can kill unwanted germs and bacteria. This means that switching from WiFi to LiFi is only going to become easier and more practical. As it stands, the average broadband internet connection speed in the U.S. is around 54 Mbps. With LiFi that will increase significantly. Commercial connection speeds are expected to be at least 100 times faster, as researchers are already able to reach these speeds with LiFi. The rapid acceleration of communication is also redefining work mindsets and related autonomy. As more and more advancements are made, it’s becoming easier and more feasible to work from or, or work from wherever. We live in a world where it’s possible to work fully remote jobs. A world where communication with coworkers and superiors can be channeled through chat systems and video chat meetings. The outcome is proving to be effective for employers and employees, offering mutually beneficial incentives for workers and employers. The results of working remotely greatly increase work-life balance. The levels of flexibility within this are only possible due to the fact that it’s easier than ever to communicate. It’s also a more sustainable model for work. There’s no wasted time and gas commuting. No extra hours spent waking up early just to make it to work on time. And no extra overhead costs for businesses if office buildings and brick and mortar workplaces become less common. 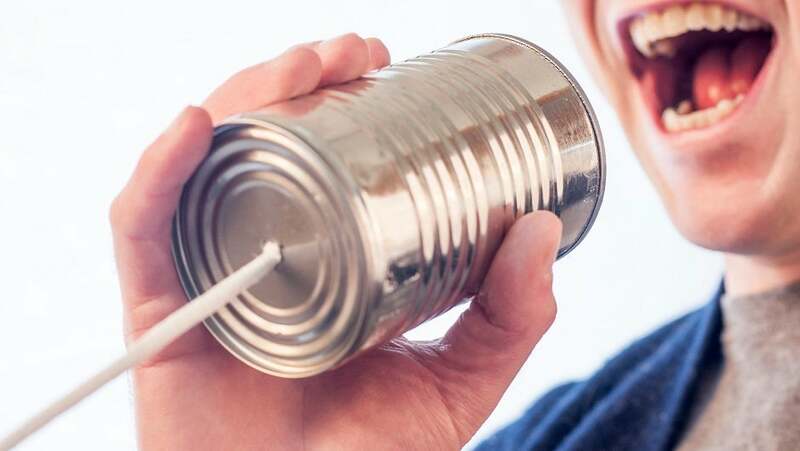 All of these tech advancements in communication share a common goal: to connect the world in a way that is better, faster, and stronger. We desire lightning quick internet speeds at home, work, and when using our smartphones for everyday tasks. Thankfully, we live in a time where this is fully embraced. A future of previously unimaginable internet connections gives us much promise for advancements. And who would have thought that this could stem from a simple, practical LED lightbulb?